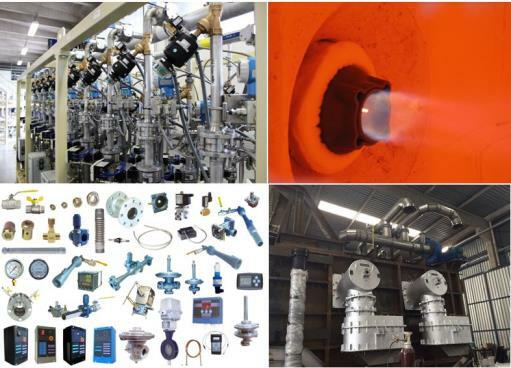 -Energy Recovery: self regenerative, self recuperative..
-Flames features: long, flat,diffusive, linear ..
With facilities in Italy, Belgium , India, ESA designs and manufactures a complete offering of burners, certified electronic controls, certified instruments, engineered skids and automation software. 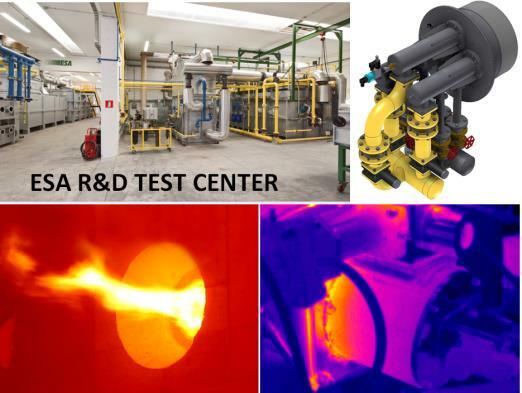 ESA works with Gobal OEMs & EPCs in several industries: steel and non ferrous metals, ceramic, glass, bakery, incineration, oil and chemical, providing fully customized solutions. Packaged and metallic cone; Radiant tubes.Infrared. Low or Ultra Low NOx configurations. for individual or serial mode. SERVOMOTOR: on/off, proportional,floating; IGNITION & DETECTION: transformers, pressure transmitters, UV flame detctors ignition rods.